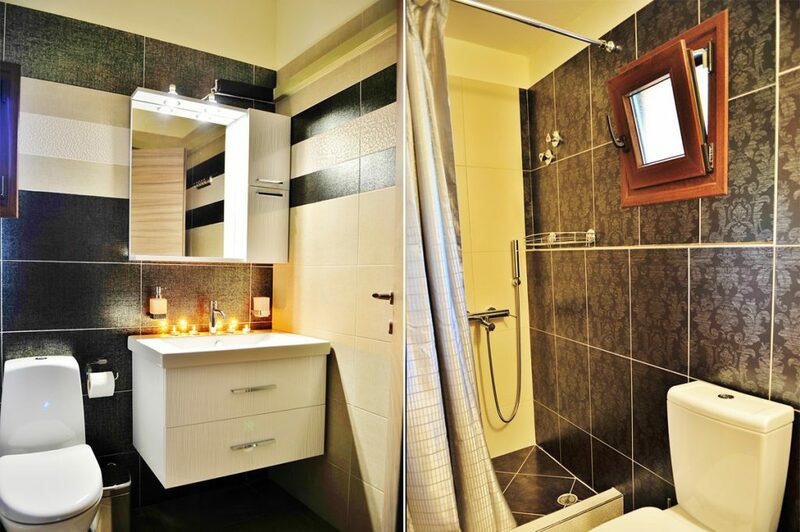 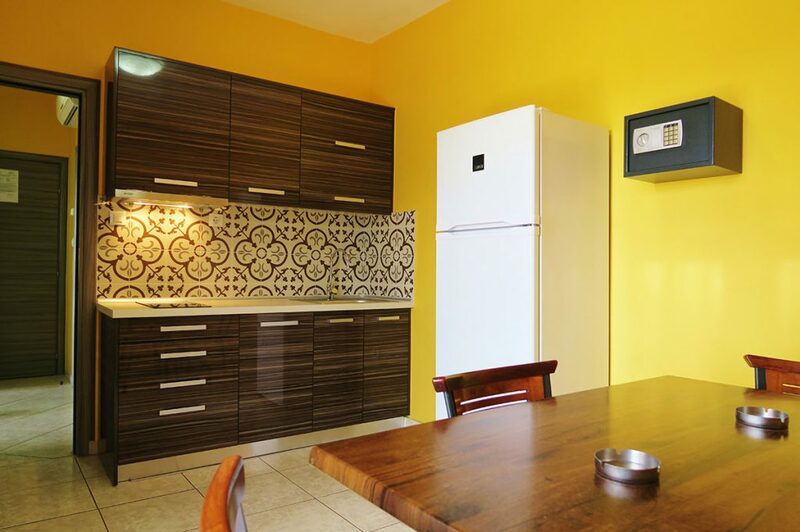 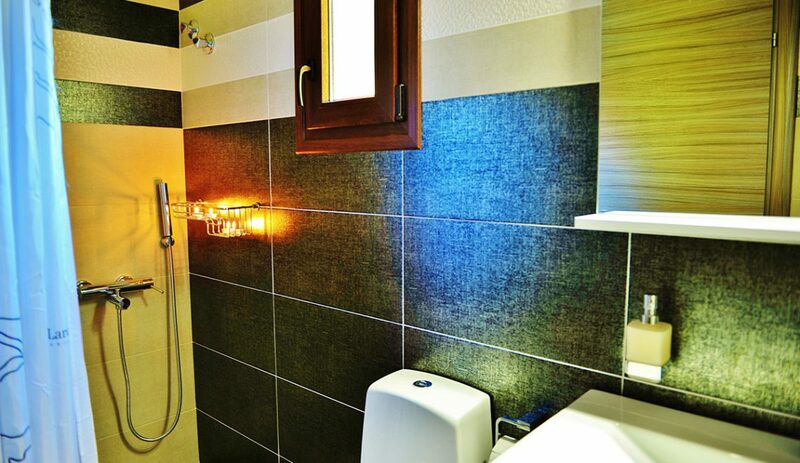 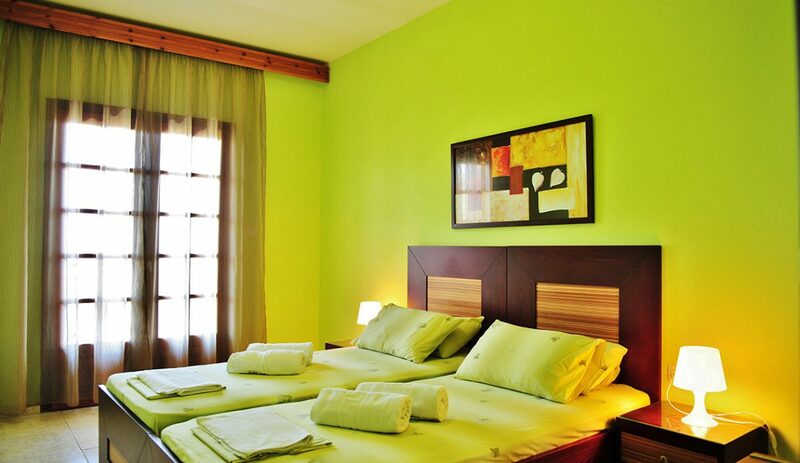 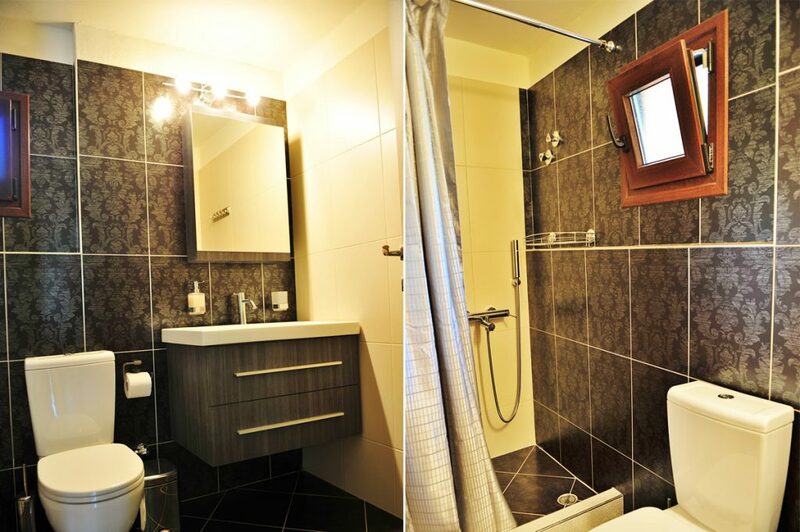 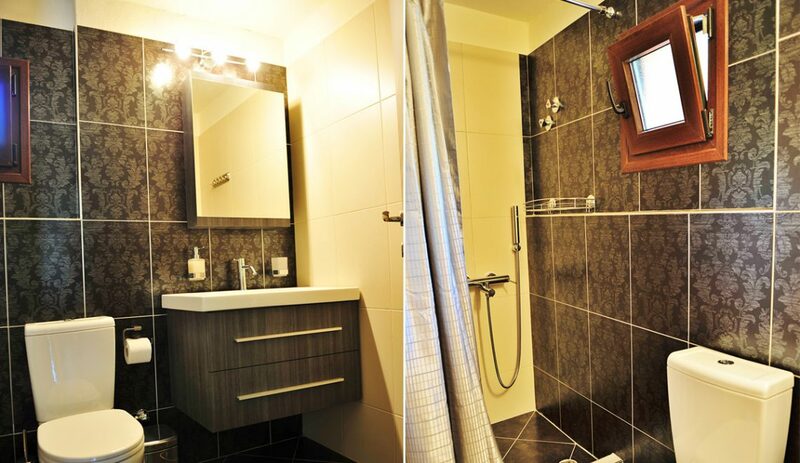 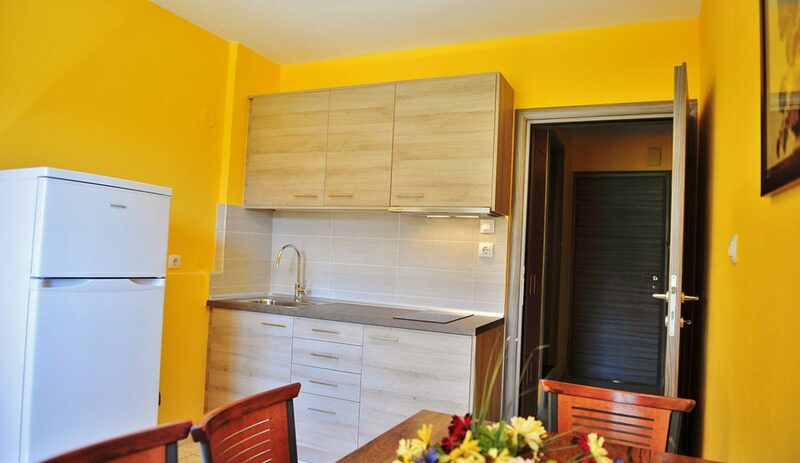 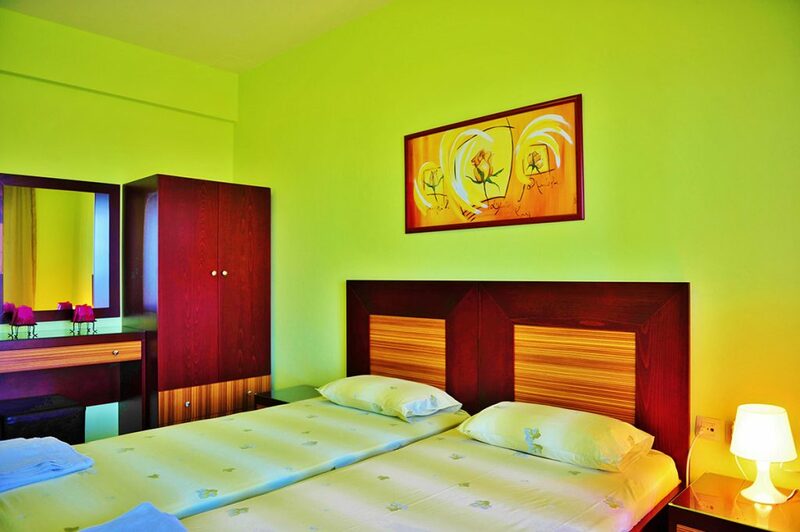 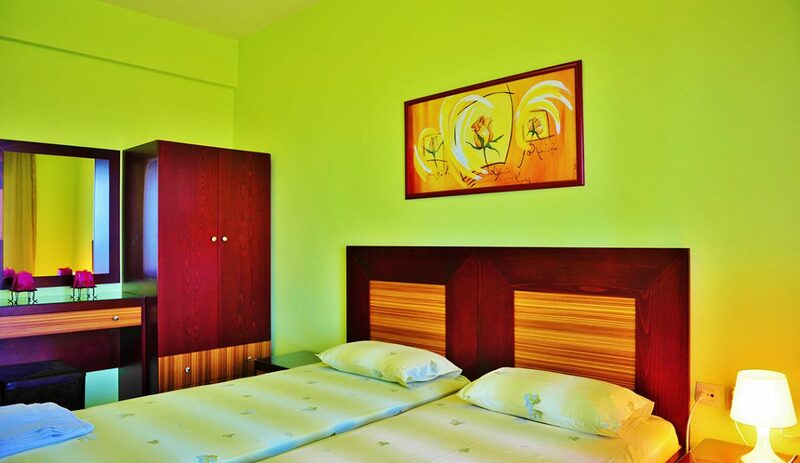 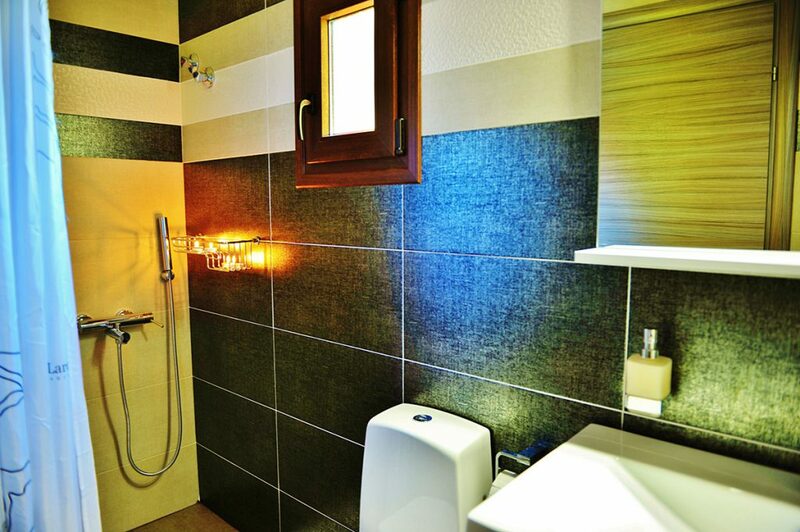 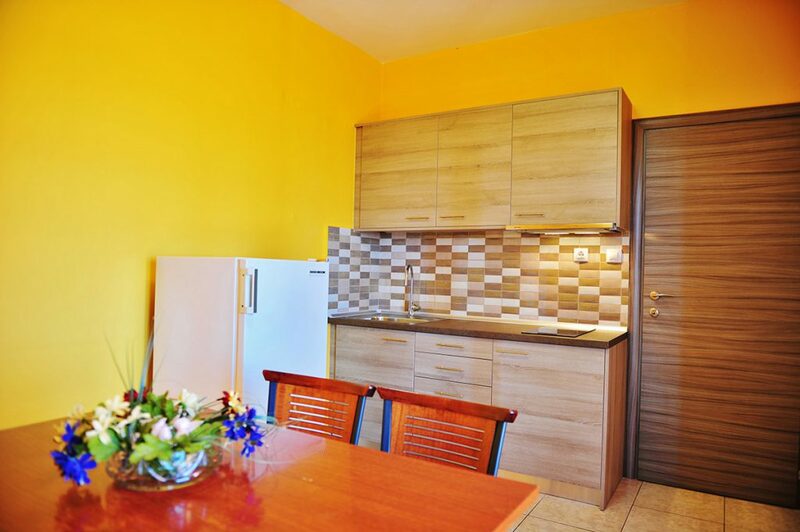 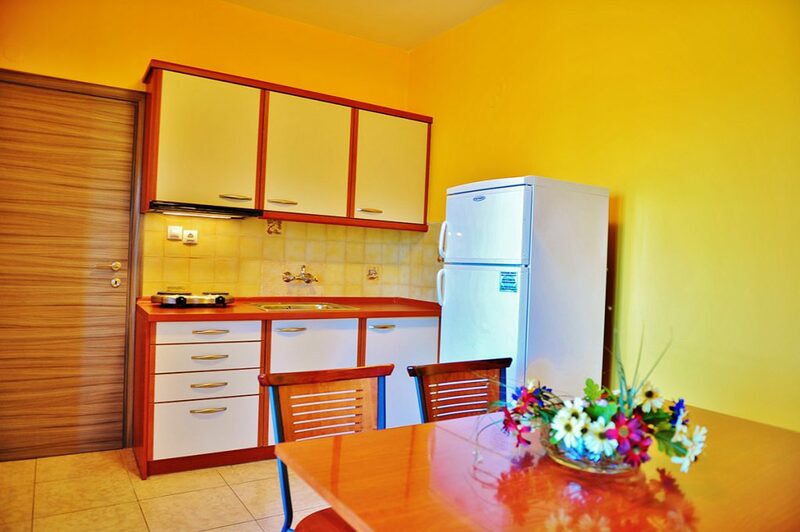 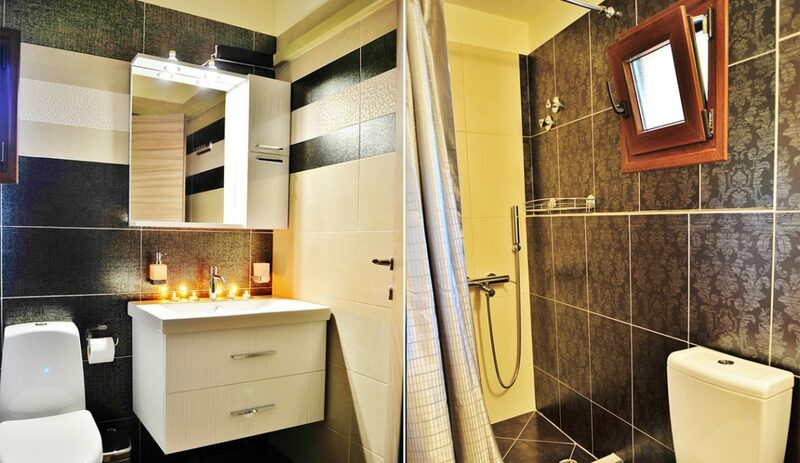 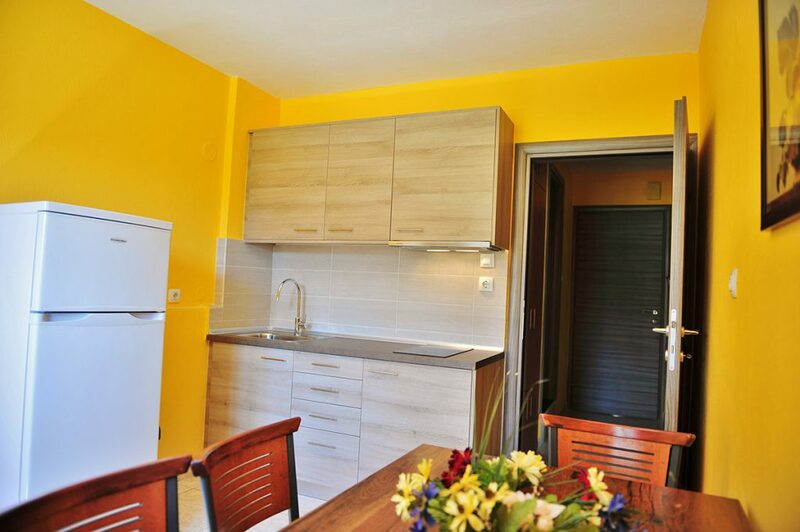 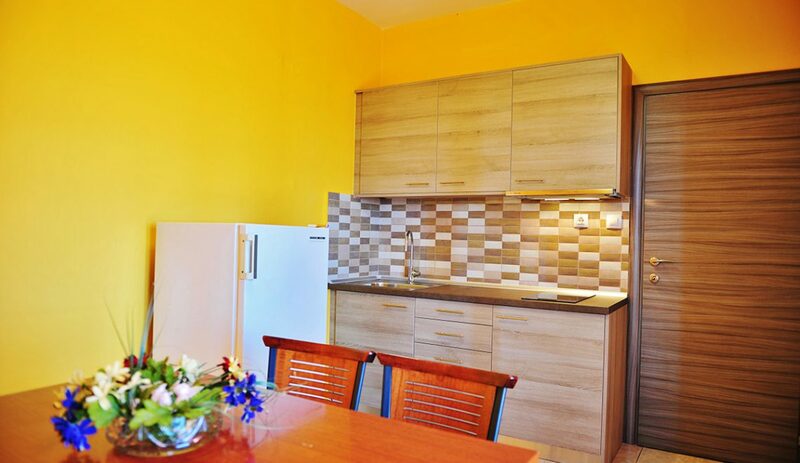 Each one of our Apartments in Gerakini Halkidiki, consists of 2 bedrooms and a large equipped kitchen. 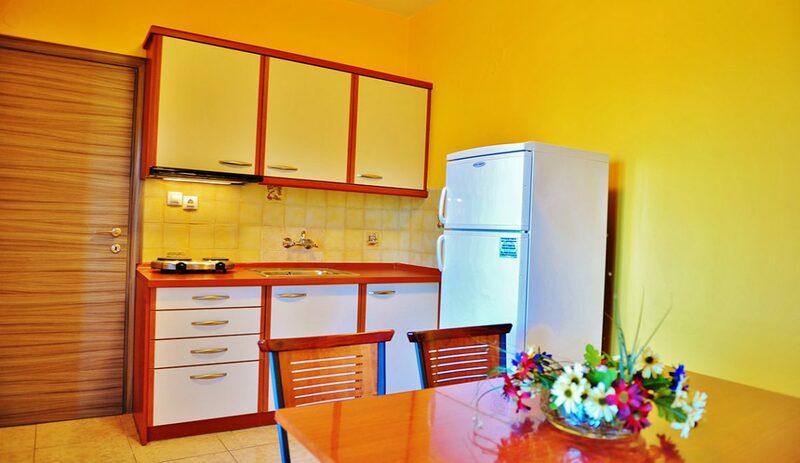 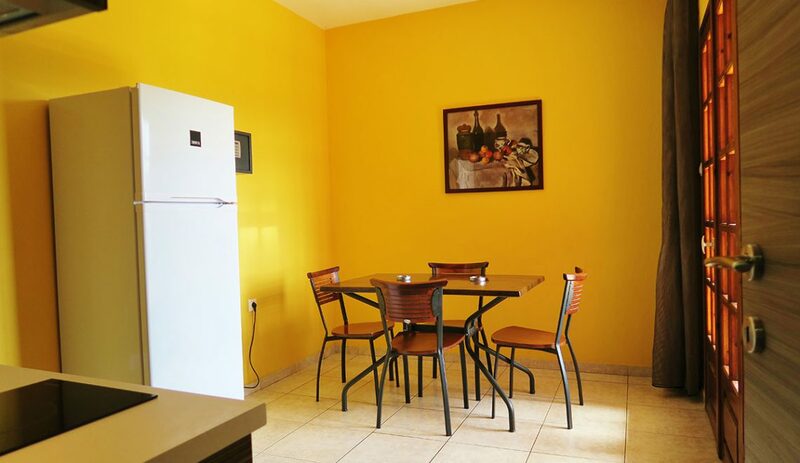 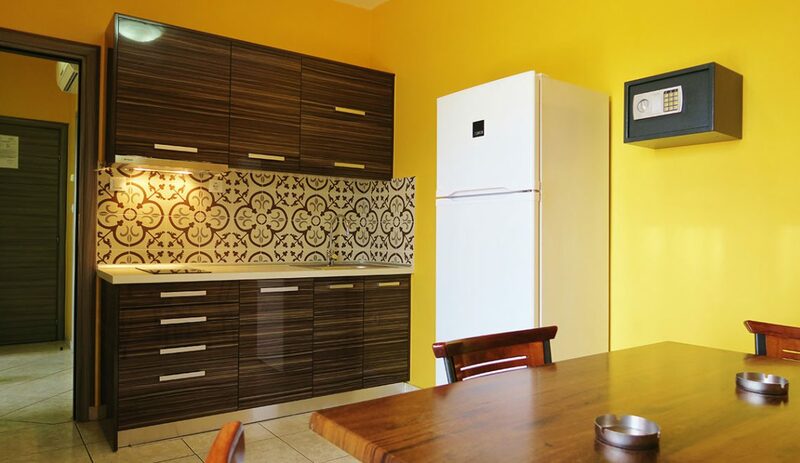 Each bedroom includes 2 single beds with the possibility in one of the bedrooms to fit a fifth bed or a baby’s playpen, an equipped kitchen with all necessary cooking utensils, a fridge, electric hot-plates for cooking, a 22″ LCD TV set, air-conditioning (A/C), safe box and modern bathroom. 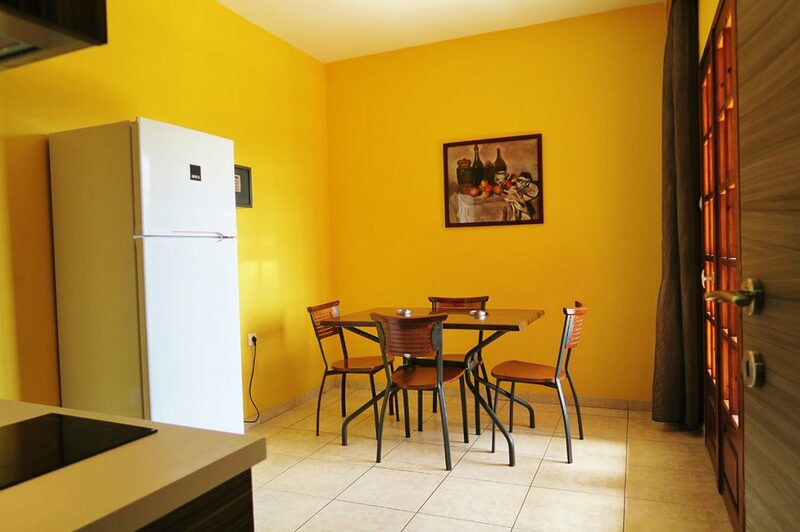 The four of the six apartments are on upstairs floor (1st and 2nd floor) and have big balconies offering a panoramic sea view while two of the six apartments are on ground floor and have a small yard offering a wonderful view to our bright green garden.